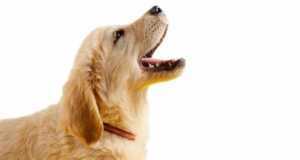 Although your Golden Retriever sometimes ‘speaks’ in barks and growls, most of their communication is done with body language. By using their facial features and holding their body in different postures, they have an elaborate second language without using sound that shows exactly how they think and feel. You just need to be able to decipher this language to understand the message. And when you can read and understand Golden Retriever body language, it gifts you the ability to tend to their needs and change your behavior to suit their mood. This will make you a far more attentive and caring owner, and make the relationship between you stronger as you can communicate so much more effectively. Your dog will be able to see and feel that you understand them and they will love you all the more for it. To be at all accurate when reading your Goldens thoughts and feelings you have to be looking at their body as a whole, but it really helps to first take a look at the individual parts. The eyes, the ears, the mouth and the tail all have something to say but combined in different ways they could mean different things. So let’s take a look at each body part before combining them together. Us humans are very expressive with our faces so it’s natural for us to take particular note of other animals faces too. In fact we usually become quite skilled at reading the facial expressions of our pets to gauge their feelings. Here’s a quick run down of how our dogs use facial expressions to show how they’re feeling. A dog’s eyes are usually relaxed and oval-shaped when feeling calm, happy and relaxed. A dog’s eyes are usually wide and rounded when feeling on high alert, when threatened or afraid. If your dog is staring straight at you this is almost always a threat. Dogs rarely make eye contact and when they do it usually means they’re feeling confrontational. If your dog looks away, or at you and then away very quickly, it means they don’t want to seem aggressive. It’s a submissive gesture showing they aren’t threatening and could mean they’re slightly nervous or afraid. The infamous ‘whale eye’. When a dogs eyes are round and wide open, staring at you from the corner of their eyes so you can see a lot of white, it can mean they’re about to get aggressive or are at least seriously considering it. You’ll see this if you tease a possessive dog about taking away a toy or a bone. It’s wise to move away and not escalate things here. 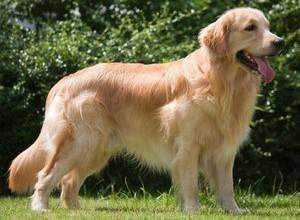 As a golden retriever has quite large and floppy ears, they aren’t as expressive as the ears of some breeds, but they do still show emotion. When the ears are held flat and back on the head, it shows negative feelings of fear or nervousness. 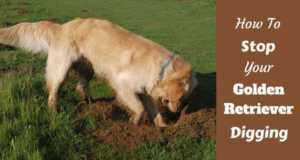 The more forward and ‘high’ (hard for a Golden) the ears, the more confident they are. Due to the nature of a Goldens ears they can’t move them so much (‘prick’ them) as many breeds, but they certainly still do use them the same way. 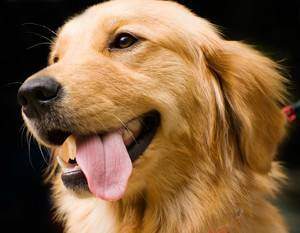 When a dog’s mouth is closed, or slightly open and panting in hot weather, then they’re usually happy and relaxed. When a dog licks their lips or the face of another dog or person it’s a submissive gesture, a sign of stress and shows a dog isn’t confident or sure of themselves or the situation they’re in. Yawning is another gesture made by dogs that feel tense or stressed. A dog yawning is a sign of unease and not knowing how to deal with a situation, it relieves tension inside them. The ‘submissive grin’: Sometimes when a dog feels submissive and wants to appease a person or another dog they perform what’s known as a ‘submissive grin’. The dog will pull up their top lip to show their teeth, but the rest of their body doesn’t show aggression. They’ll have their ears back, their head lowered, trying to look small and won’t be growling. If aggressive they’ll be the opposite: Standing tall, looking large and growling or snarling. First of all an important point to note is that a wagging tail doesn’t always mean a dog is happy! They also wag their tail when feeling confidently aggressive. A tail held naturally, level or lower than the body means calm and relaxed. A tail held very low between the legs or tucked under the body shows a nervous or fearful dog. A tail held high in the air and wagging side to side slowly and purposefully shows a dog feeling dominant, threatening or aggressive. So a wagging tail isn’t always a happy dog. If held high, you should perhaps be a little cautious. But of course judge things by the rest of your dog’s posture and the situation they’re in. Just don’t always assume that a wagging tail is a happy dog. After looking at how different body parts are used to express different thoughts and feelings, we now need to look at the dog as a whole. We need to see how they hold their body in general, what postures they use as well as their facial expressions and tail to show how they truly feel. The same facial expressions could have a very different meaning when read in conjunction with the general posture of their whole body. Make themselves appear larger and more threatening. Make themselves look smaller and less threatening. Hold themselves naturally, be calm and relaxed. Depending on which of the three postures they assume, as well as adding on the facial expressions and the way they hold their tail, tells us quite accurately how they’re thinking and feeling. When happy, your Golden will look relaxed and ‘natural’, not trying to look big or small or signalling much out of the ordinary. They’ll stand balanced with their weight centered on all fours. Their tail, eyes, ears and mouth all held naturally and if their tail is wagging at all it will be at body level or lower. They will simply look confident and relaxed. 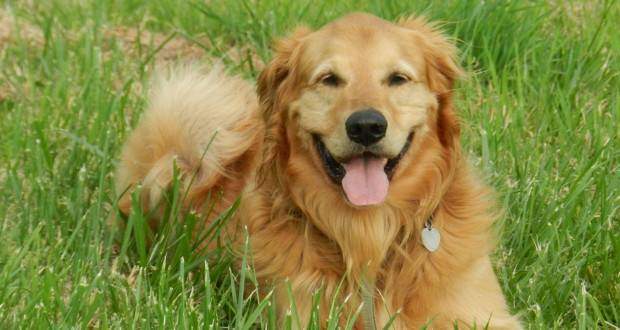 If your Golden is excited they will look happy but a little less relaxed, more tense and alert. An excited dog may be wagging their tail so much that their entire rear end will be moving and not just the tail. Sometimes a dog will stare intensely at whatever’s exciting them so much…unless they can reach it in which case they may well be jumping all over and nudging and muzzling it instead. When excited, most dogs also bark in short high-pitched little barks. One of the biggest signals from a dog that’s ready to play is known as the ‘play bow’. A play bow is when a dog drops into a position with their front legs stretched out in front of them, legs and chest low to the ground but with their bum held high in the air. They will usually emit a high-pitched and excited bark as well. They will usually have their mouth open, their eyes open and alert and their ears held forward and high (as much as a golden can!). Besides a play bow, a dog wanting to play will be full of energy, bouncing and jumping around while barking in a high pitch begging for attention. They will often paw people, or knock into them and run, hoping to be chased or played with in some way. An alert dog stands up tall, weight centered on all fours, staring at what has their attention with ears up and forward. Their tail will usually be still and held at body level or higher, their eyes somewhere between normal and wide open. An alert dog will look slightly intense and highly concentrated. An angry and aggressive dog will make themselves look as large and scary as possible. They will stand tall, their head held high, tail high and stiff or possibly moving slowly and meaningfully side to side. They’ll have their ears forwards, their eyes looking intense and concentrated and they will also have their hackles raised, this being the hair along their spine standing up on end which adds to them looking larger. Their weight will be centered more on the front legs so they’re ready to pounce and attack at any moment. They may also snarl, growl, and sound warning barks as well curling their lips to bear their teeth. An angry and aggressive dog is quite unmistakable as it looks quite frightening which is exactly the point. They’d rather scare something away with all the posturing before actually getting aggressive. If you see aggression in a dog you should simply slowly turn sideways and walk away as they could bite. Make no sudden moves, just move away slowly to defuse the situation. A frightened and scared dog will make themselves look as small as possible, a submissive move so that they don’t look threatening and invite attack. They’ll be crouched low to the floor, head low to the ground, narrow eyes, ears pinned back, half turned and looking away from whatever they’re scared of but frequently taking a little sideways glance at what frightens them. Unmistakably and the biggest sign of being scared is their tail tucked extremely low between their legs, under their body. Their weight will be more on their back legs so they’re ready to spring and run away. In extreme cases of fear a dog may also shake and tremble. A dog that’s curious about something but a little unsure of themselves will have their weight on their back legs, ready to spring away at a moments notice. They will often ‘stutter-walk’ slowly toward it, a little forward, a little back, a little forward, a little back, pushing their neck and head or maybe a paw forward while holding their body as far back away from the object as possible until they know what it is. A curious dog also displays the cute tilting side to side of their head that we all know and love when looking at or listening to something they can’t figure out. A submissive dog is trying to show obedience, passivity and a lack of aggression. That they will not attack and aren’t a threat. Also that there’s no need for someone else to attack as they pose no threat. To achieve this they make themselves look small, body low to the ground and their tail held low although it may be wagging side to side. They will likely be looking away, certainly never staring, but their heads won’t be lowered like when they’re scared. Their necks will be low, but their muzzle may be pointing up instead of down into the floor. When submissive they will also offer behaviors such as lip licking, or licking the person (or dog) they’re feeling submissive to. 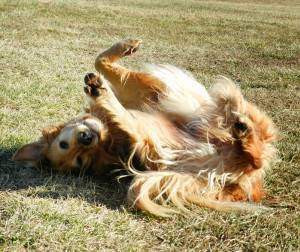 Sometimes a dog will roll on their backs to show their sensitive undersides as an ultimate show of a mixture of submission and trust. 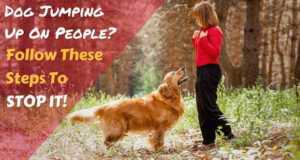 Learning canine body language is essential if you want to understand how your Golden is feeling at any given moment. Because to be a great owner it’s only fair you take your dogs feelings into account before ever asking them to do something or allowing somebody to interact with them. 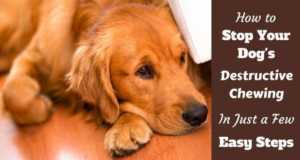 If your dog is scared or unsure, you can intervene to reassure them. Or if they’re angry or stressed, again you can take measures to calm them and make sure nobody pushes them over the edge to aggression. We always take notice of people’s emotions and adjust our own actions and behavior to suit…isn’t it wise and fair to do the same for our dogs? When you learn to read your Golden Retrievers body language you will always know exactly how they feel. And if you use this information correctly, as you would the same info from a human, you can adjust your behavior or expectations of your dog accordingly. And this is a win for all involved. my 11 year old golden has started walking a little slow of course stairs are difficult I know because of her hips but she has just started walking with her tail low and sideways? what does this mean? Impossible to say, Melinda. If there’s a change and it’s something you’re worried about, you should speak to your vet. My 8 month golden retriever jumps on me & humps me. I am really concerned about this behavior and want it to stop. HELP! My almost 3 year old girl has recently gotten into diving her head into our bed and biting at our memory foam when she goes to lay down sometimes. Is this a behavior we should be worried about? Hi Heather! They do get into some mischief, don’t they? I honestly couldn;t say if it’s an issue, but doesn;t sound too bad, as long as she’s not aggressive or there’s no other behavioral issues surrounding this. Though I would try to curb the behavior, as it could get destructive for your mattress, and maybe lead into other destructive chewing habits. Hello Wendy, thank you for all this remarkable information – the best I’ve found. Can you help me…I am convinced that my beautiful 22 month old, platinum blond, Goldie – Molly is a bit of an autistic diva! I adore her and she’s travelled abroad with me and home again. We also have a little rescue dog (Fudge: whippet/Beagle and other unknown bits!) who is younger than Molly and he adores her. They play fight a lot but recently it’s become apparent that fudge has changed his loyalty from my husband to me and my husband says it is almost as if Fudge is in love with me. Anyway, recently Molly has become quite clingy. She and Fudge play a lot but when I give Molly attention fudge ‘play fights’ her by biting her leg. He also jumps on her when she’s playing with other dogs. Molly is a very sociable girl so I don’t know if she’s feeling trapped by Fudge. My other concern is that she doesn’t look so happy anymore and sometimes curls up like a donut with a very bored or sad looking face hanging over her hind quarters. I do walk them alot but the nature of my life is that things aren’t routine so every day is different but they do get good walks which mostly entails them both going off on long hunting expeditions! Can you comment on what I’ve said. I adore my girl and I’m so so worried something isn’t right for her. Oh the autistic bit is that she’s never wanted cuddles. The closest she ever got was to sit with her back to me, her bum up against my thigh but looking away. My husband has taken to sitting in such a position that Molly doesn’t have to look at the wall when she’s looking away from him! But now she’s started nudging us with her nose, lifting our arms our hands and sitting up on her hind quarters with her front paws in my hands. I love this last characteristic and know it from other goldies, I’m just unsure as to why why she is now stopping me every minute with one of these behaviours. Any thoughts or comments would be most gratefully received. Dogs are very Territorial. Fudge apparently was/is jealous of your attention to Molly. Molly is seeking more attention as she needs reassurance that she is still loved after the constant attacks or play fights from Fudge. You need to reprimand Fudge when he attacks Molly. She is not used to this and it is possible he is hurting her. Put him in “Time out” till he learns to be nice or gentle with her!! 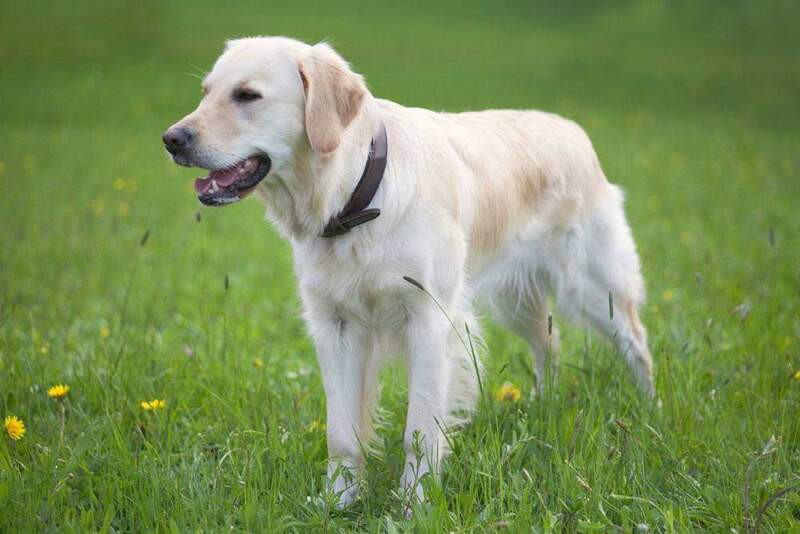 Interestingly, golden retrievers ears go flat and back on its head when it shows negative feelings of fear and nervousness while forward and high if they’re confident. I’ve always thought you can only tell their behavior through their tails. I’m glad there are other ways. My son really wants to have a dog, and I think a golden retriever would suit our family perfectly. I’ll try to see if we can get one that’s quite nice. I’ll do my best to teach the dog some tricks. Thanks for the interesting guide on how to understand golden retrievers’ body language.